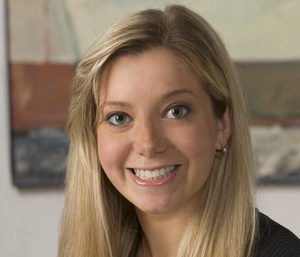 Stacey L. Schwaber is an associate in the Firm’s Employment & Labor Practice Group. Her practice focuses both on advising employers on policies, practices and preventative measures to avoid litigation, and representing employers in litigation when necessary. Stacey counsels employers concerning employee misconduct, workplace harassment, compensation and leave issues, and represents employers in litigation involving discrimination, sexual harassment, compensation, non-competition and non-solicitation covenants, and breach of contract. She also reviews employee handbooks and conducts training programs for management and employees. Stacey represents employers before federal and state courts, at both the trial and appellate level, and before administrative agencies including the EEOC and state and municipal human rights commissions. She also represents employers in labor union matters, including collective bargaining negotiations, unfair labor practices, and union representation proceedings before the National Labor Relations Board. Prior to joining the Firm, Stacey clerked for the Office of the General Counsel of the United States Peace Corps with a focus on equal employment opportunity litigation.